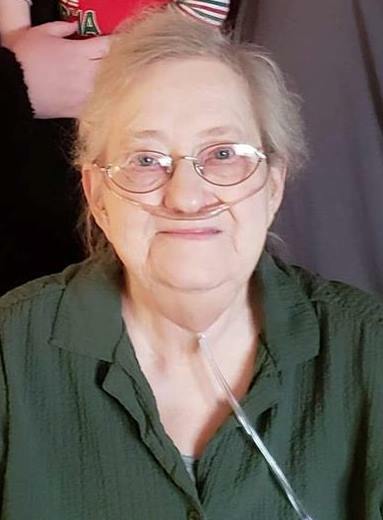 Leah A. Shaw, 82, of Van Wert, died at 8:25 a.m. on Tuesday, Jan. 29, 2019, at her daughter’s residence surrounded by her loving family. Leah was born June 23, 1936, in Decatur, Indiana, to Edward E. May and Isabelle (Swygart) Morris. On Dec. 19, 1964, she married Dewey C. Shaw, Jr. who proceeded her in death on March 8, 2008. Leah left high school to go into the workforce to help care for her mother and siblings after the sudden death of her father. She retired from Kennedy Manufacturing in 1991 after over 15 years of service. Later in life, she set a goal to gain her GED, and at the age of 70, in 2006, she did just that. In 2010, Leah found out she had cancer, but through strength and stubbornness she beat the disease, and it never returned. Leah loved to cook. She spent many years with her daughter baking cookies each Christmas season to hand out to friends and family. Her famous potato soup drew people from all over. In 2014, Leah moved in with her daughter, Susie, who cared for her until the very end. Leah loved to spoil her granddogs with too many treats. She spent many days watching the birds outside of her window and commenting on their daily activities. When asked what her plans were for the day, she would often remark, “To watch the birds.” Leah also loved to tell people about how her mother-in-law and father-in-law (Leah and Dewey Sr.) had the same name as she and her late husband. She found it to be a unique coincidence and loved making note of it. Near the end of her life she was filled with peace, frequently speaking of how she couldn’t wait to see her husband again and to be with the Lord. She also missed her dog, Jack, who had passed two years ago. Leah was a member of North Union United Methodist Church, the American Legion Auxiliary, and the Veterans of Foreign Wars Auxiliary. Leah is survived by her daughter and her daughter’s husband, who was like a son, Susan and Jim Benavidez; two sons, Tom Davis and Bob Davis; one brother, Sam (Kathy) Gilbert; grandchildren, Kirsten Barnhart, Sabrina Barnhart, Corderro Benavidez, Saydee Benavidez, Nicole (Aaron) Hampton, Jimmy Davis, Brandy (Brandon) Martin, Tiffany (Gary) Perry, Ashley (Adam) Smazenko, Michael Davis, Christina Larson, Heather Freed, and Marisa Davis; an honorary daughter, Lisa Learned; 30 great-grandchildren, and one great-great-grandchild. In addition to her husband, Leah was preceded in death by a brother Don May Sr. and three grandchildren, Noah Martin, Mathew Glass, and Maggie Glass. A funeral service will be held at 1:30 p.m. Sunday, Feb. 3, 2019, at Alspach-Gearhart Funeral Home & Crematory with the Rev. Greg Wack officiating. Interment will follow in Mt. Pleasant Cemetery. Visitation will be from 4 to 8 p.m. Saturday, Feb. 2, 2019, at the funeral home, and again one hour prior to the funeral on Sunday. 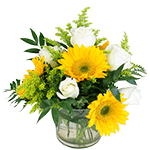 Preferred memorials are to North Union United Methodist Church or State of the Heart Hospice.